Savvy Democrats and progressives must focus on driving a bold new agenda and winning in 2018 and 2020. Tuesday’s release of Hillary Clinton’s campaign memoir, What Happened, has already set off a new round of sniping and score-settling, providing grist for the media’s addiction to covering political intrigue at the expense of serious policy issues. In telling her side of the story, Clinton takes jabs at Senator Bernie Sanders (I-VT), former FBI director James B. Comey, and even former vice president Joe Biden. That’s her right. And her critics are likewise entitled to take issue with her portrayal of certain events. But rather than reopening old wounds and refighting past battles, maybe it would be healthier to reflect on how far Democrats have come since the beginning of 2016 and how the progressive wing is now ascendant in the party at the grass roots and to consider the contributions that Sanders’s campaign made toward building a more progressive party. 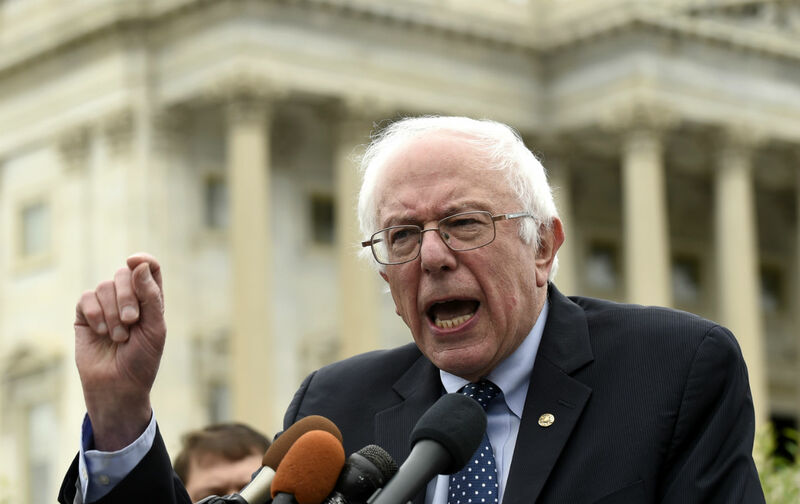 Wednesday, Sanders will formally introduce legislation to provide “Medicare for All,” a policy that was central to his insurgent presidential campaign. Although Sanders has sponsored single-payer health-care plans for years, this will be the first time that he does so with meaningful support from prominent Democrats. Senators Kamala Harris (CA), Elizabeth Warren (MA), and Cory Booker (NJ)—rising party leaders and potential 2020 contenders—will be co-sponsoring the bill. Meanwhile, top Democrats including Senators Kirsten Gillibrand (NY), and Chris Murphy (CT) have also expressed support for the idea of Medicare for All. Read the full text of Katrina’s columnhere.